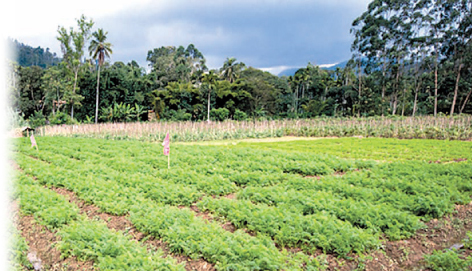 According to a news report, a scientific meeting of the Department of Agriculture (DOA) was held in Peradeniya on September 6 and 7 on ‘Agriculture beyond production’. One aspect of this topic was bringing farm produce to the consumer with the minimum of waste. It is well known that 40 to 60 percent of agricultural products are wasted; attacked by bugs, microbes, vermin etc., and become rotten before it reaches the market, especially in tropical countries. Another aspect of this study was an evaluation of potentially toxic pesticide residues found in vegetables. Concern about ‘toxins’ in food has been sharpened by the organic food movement. It is currently in a global market struggle to capture supermarket space for its products. Here the upper-class elites who adopt Californian concerns, and the romantic traditionalists who claim a “golden past” have joined hands. They espouse “organic food”, and seek a “Toxin-Free Nation” even in Sri Lanka by adopting many myths of Western “green” activists. They have their own myths too – ancient Lankans were well-fed and lived long, Methuselah-like, using only traditional agriculture without pesticides and fertilizers, except for “natural fertilizers”. They ignore the written record of multiple famines and the record of sequential droughts seen in the rings of South-Asian tree trunks studied by dendro-climatologists. The heady claim that Lanka was the granary of the East is a literal truth to these romantics. In reality, the common people teetered between subsistence and famine, while only the palace and temple had it good. Given the heightened concern about pesticide residues in food, the presentation by Yoshida Lakshani, a scientist from the laboratory of the Registrar of pesticides has attracted media interest. The study was in collaboration with J.A. Sumith, K. Rajapaksha, B. Bambaradeniya and T. Chathurangi from Wayamaba University. 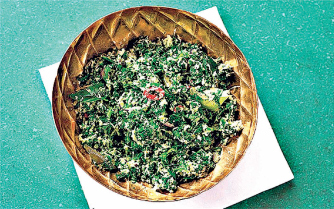 Popular leafy vegetables such as Gotukola (Centellaasiatica) and Mukunuwenna (Alternantherasessilis) grown in Kalutara, Puttalam and Kandy districts had been tested; residues of four popular pesticides were found in 50 percent of the samples, most of which came from the Puttalam area, with the Kandy district coming second. Four insecticides were found in significant quantities in vegetables. Of these, the most significant amounts first were for the insecticide fipronil. This is used to control ants, beetles, cockroaches, fleas, ticks, termites, mole crickets, thrips, rootworms, weevils, and other insects. The maximum allowed limit (MAL) on this insecticide residue on leafy vegetables is five parts per billion (ppb) in some countries. That is, only one teaspoon of the residue finely distributed in one thousand metric tons of the vegetable is allowed! On the other hand, the US limit is one ppb, while twice as much is allowed in tea, and 10 times as much is allowed on rice! 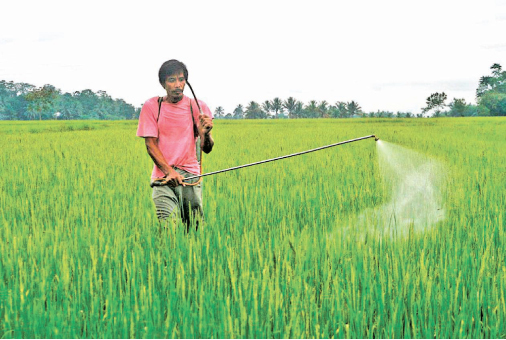 Does the pesticide become ten times less toxic when found in rice? No, at all. The maximum allowed limit quoted is not a measure of toxicity; it is a measure of good farming practice (GFP), with differing GFP based MALs for different crops, and in different countries. The public, journalists, Green-Lobby groups like the AVAAZ team, and even many medical doctors who write about public health matters do not understand that this MAL has nothing to do with toxicity. While the Department of Agriculture is interested in ensuring GFP, scientists should instruct reporters to use these numbers correctly. They should not use these tiny ppbs to fan public fear. What they need is not the GFP-MALs, but the admissible daily intake (ADI) for chronic toxicity arising from the ingestion of such insecticide residues. These are stipulated jointly by the WHO and FAO. 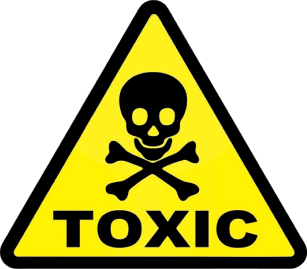 Chronic toxicity is the form of slow poisoning that occurs if you take a small amount of a substance for many years. If the intake is less than the ADI, then there is no health risk. WHO-FAO (Sept. 2016) ADI of fipronil is 0.0002 mg/kg of body weight. So, an adult weighing 60 kg should take less than 0.012 mg of this insecticide daily, to avoid chronic toxicity. According to Yhoshida Lakshani, gotukola and mukunuwenna had 372 ppb of fipronil residues. Thus, eating such gotukola or Mukunuwenna becomes risky for eating about 35 grams (7 spoons) of it without cooking or cleaning. Washing will not remove these insecticides as they are largely water insoluble. Furthermore, if vegetables are cooked with some water in an open pan (i.e., adopting the Sri Lankan method of making a 'maelluma'), the pesticide volatilizes with the steam. According to research by Xavier and collaborators ( Environmental Monitoring and Assessment Volume 186, p 5429), even sun drying, or dipping in solutions of tamarind, turmeric, vinegar, and slaked lime and wet scrubbing could remove more than 90 % of fipronil residues. Even if nothing is done, the fipronil disappears with a half life of about four days. So, not applying the insecticide close to harvesting greatly reduces the level of fipronil contamination. Secondly, she spoke of Profenofos. This insecticide is used against mealy bugs, caterpillars, and aphids. The European MAL for this is 10 parts per billion (ppb), while the US limit is 1000 ppb, i.e., some 100 times higher. This does not mean that the substance suddenly becomes 100 times less toxic when inside the USA, but simply that different farming practices (mainly used on cotton) are used, and within those practices, one may tolerate 100 times more insecticide residues than in colder Northern Europe. From a health point of view, the admissible daily intake (ADI) for chronic toxicity applies. The WHO-FAO stipulates 0.03 mg per kg of body weight per day as the ADI, while China uses 1.0 mg/kg of body weight. An adult weighing 60 kg may take up to 60 mg every day. According to a Divaina newspaper report (3-11-2018), Lakshani had found some 7583 ppb of this insecticide while the MAL quoted by her was 10 ppb. So, the reporter had concluded that the pesticide residues were alarmingly high and pose a health risk. Instead, if we use the Chinese ADI value of 60 mg, given a contamination level of 7583 ppb, a 60 kg man must eat over 79kg of vegetable per day. If we use 0.03 mg/kg of body weight as the ADI, it is still about 2.4kg of the contaminated vegetable daily to run a health risk! Thirdly she found Phenthoate. This is used against moths, leaf-hoppers, aphids, soft scales, mosquitoes, blowflies, houseflies, and louse flies. An MAL of 0.5 parts per million (ppm) or 500 ppb for vegetables is used in the US. The ADI which defines chronic toxicity is 0.001-0.003 mg of phenthoate per kg of body weight. So, an adult may intake up to 0.06-18 mg daily without posing a health risk. If the gotukola or Mukunuwenna had, say, 300 ppb of the insecticide, it is necessary to eat about 3 to18 kg of the vegetable DAILY for there to be a health risk from the pesticide residues. Hence, phenthoate residues pose absolutely no health risk. Fourthly, Tebuconazole; this is a fungicide used agriculturally to treat fungi that affect plants. Its ADI is generally considered to be 0.03 mg/kg of body weight, which corresponds to a maximum daily intake of 1.8 g. That is, if this fungicide is found in amounts of, say, 300 ppb, an adult has to eat 180 kg of the vegetable, i.e., three times the body weight, for it to pose a health risk! And lastly Glyphosate; although glyphosate has been very much in the news, it has not figured at the Peradeniya meeting. Instead, we go to the Sri Lanka Medical Association journal (SLMA) where a lecture by Dr. Sanath Gunatilake (SG) is reported in August 2018. SG is a California doctor who joined with Senanayake (a Kelaniya psychic), and Dr. Jayasumana (a recent medical graduate) in publishing an article claiming that glyphosate causes kidney disease in the Northcentral province. SG claims that the adjuvants (substances added in small amounts to glyphosate formulations) are a thousand times more toxic. Yet, he ignores that these same adjuvants are also found in greater amounts in common shampoos and household detergents. Field trials show that the adjuvants are found in parts per trillion (truly negligible and at the limit of detection) in the blood of farmers who use the herbicide regularly. Dr. Gunatillake too makes the mistake that the agricultural MALs determine toxicity. SG and the public who read the websites and newsletters of EcoWatch, Organic Consumers, Dr. Mercola, Moms across America, Whole-Food consumers, Beyond Pesticides, Detox, Food-democracy-Now, Avaaz team, Alliance for Natural Health, etc., ignore what the MRLs imply, and talk of “alarmingly dangerous levels of pesticides in food” after comparing pesticide residues with the MALs. Sometimes MRLs are mere weapons of trade wars. In Sri Lanka, it has been a political weapon in the hand of the “Toxin-free” lobby which ignores particulate dust, exhaust-gas pollution, urban garbage mounds, and many other acute health risks. Sri Lanka lost over 60 billion in three years due to the ban on glyphosate, debilitated the tea farmer and destroyed the maize farmers.